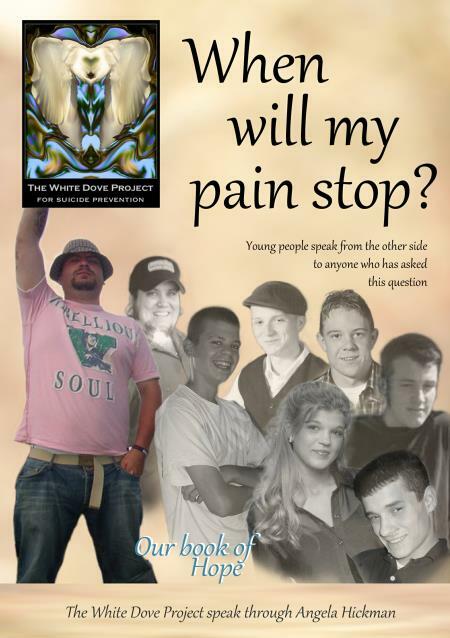 The White Dove Project was created to convey the stories of a group of young people in spirit, in their own words, channelled via my dear friend Angela Jane Grace. Each carries a message reaching out to anyone in any kind of emotional pain, but especially to young people who have thought that suicide might be their only option. The message is one of hope embedded in the words of young people who speak through a mediumship connection from the other side. Most ended their lives through suicide. They give their words in a series of books and messages with the following purpose: To educate, inspire and empower and to breathe the oxygen of love into the flame of hope that burns within everyone. These are the suicide notes never written and the words never spoken whilst these children were alive. They are given in the hope that they bring some comfort and understanding to the bereaved, awareness to bring suicide out of the shadows of society’s taboos and hope to those who feel they have none and believe no one understands. 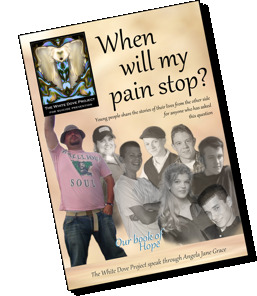 On 1 November 2011, to coincide with the publication of the second version of Chasing Death, the first book from the project, “When Will My Pain Stop” was published and is available for purchase. In the book, young people who took their own lives share their stories from the other side.